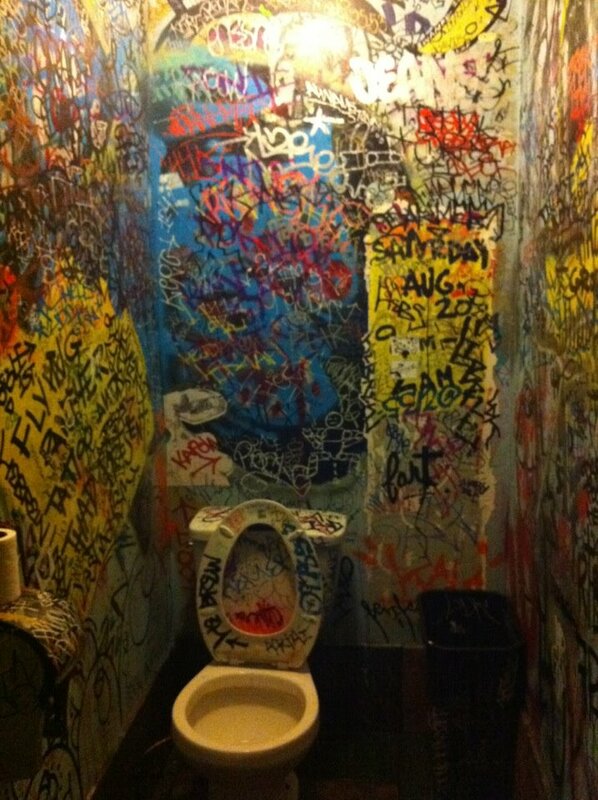 I can’t imagine how many layers of graffiti are on the walls and seat of this bathroom. 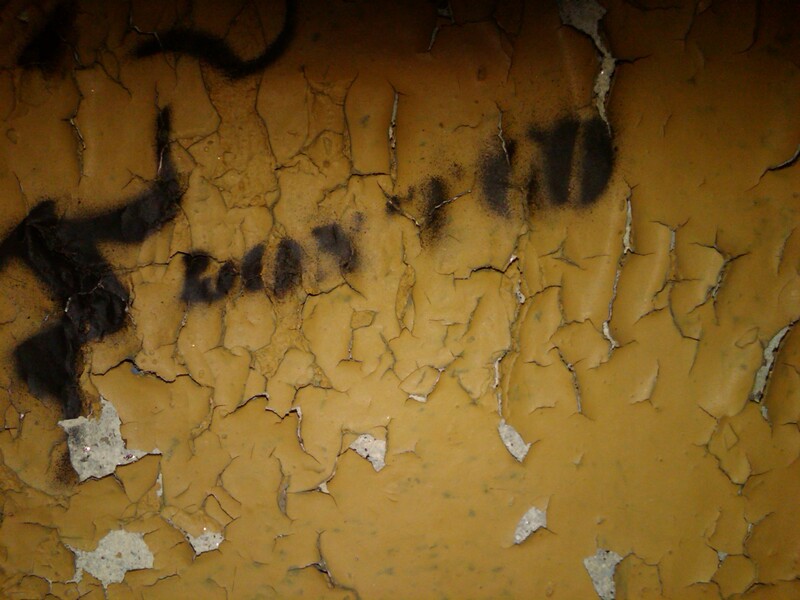 This entry was posted in Adventure, Photos and tagged bathroom, cali, Guest Contributions, mobile photo, san deigo. 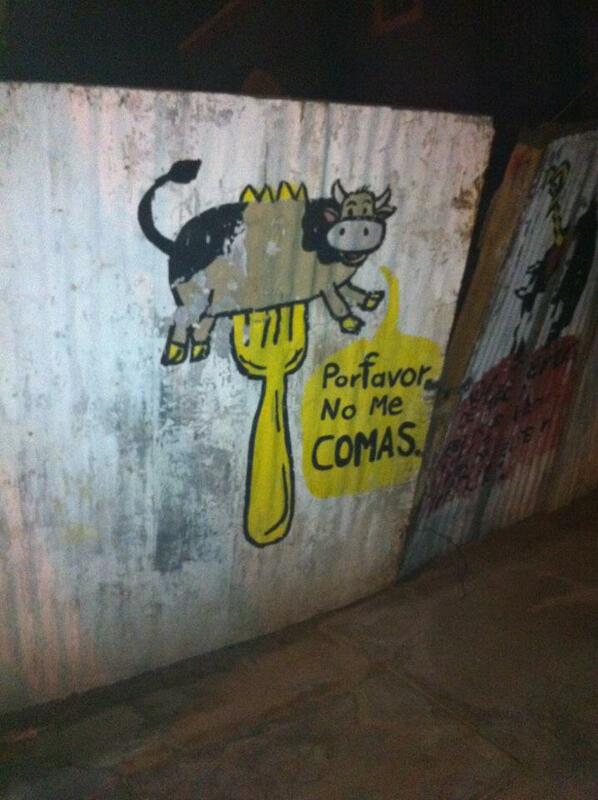 This entry was posted in Adventure, Photos and tagged graffiti, Guest Contributions, mexico, mobile photo, Pro Veggie Graffiti. 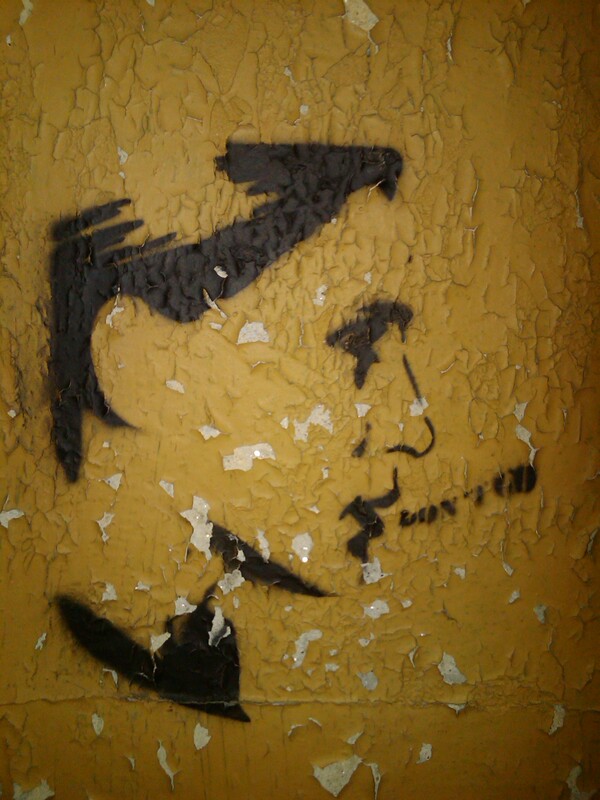 This entry was posted in Photos and tagged Boston, mobile photo, wheat paste. 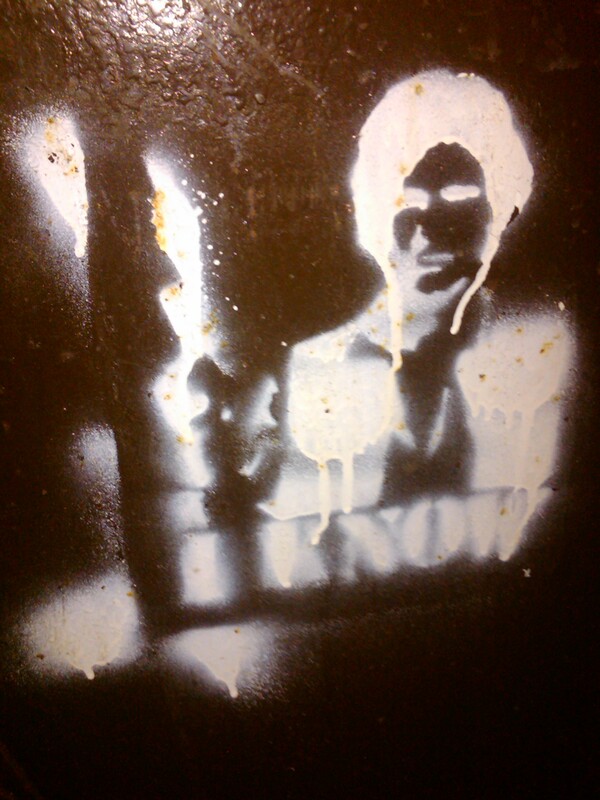 This entry was posted in Adventure, Photos and tagged Boston, graffiti, mobile photo, stencil. 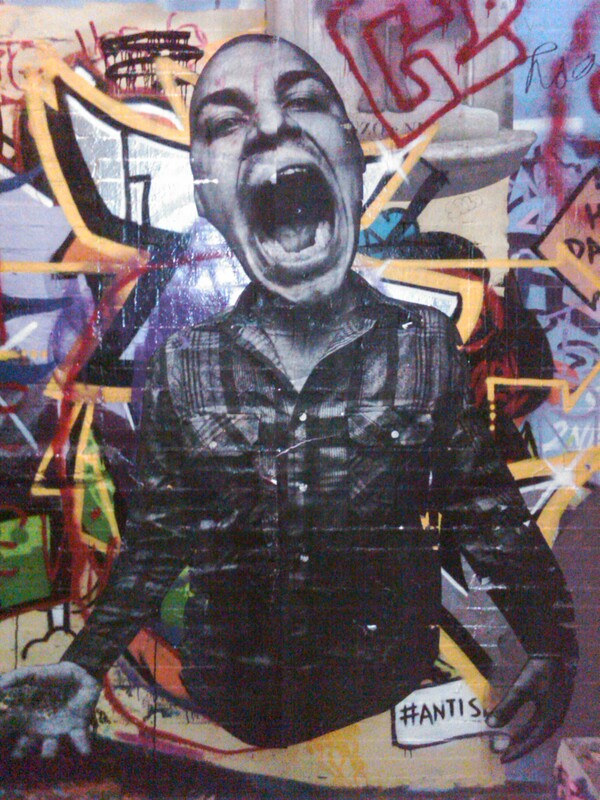 This entry was posted in Adventure and tagged allston, Boston, mobile photo, wheat paste. Don’t go go! Can anyone name that song? I love the choice of canvas on this one. 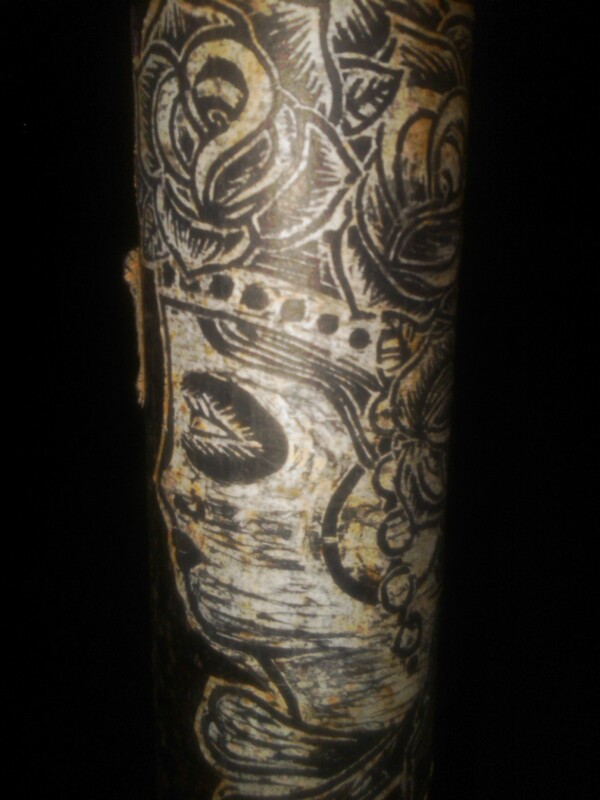 The cracked peepling paint adds a great effect. The message is pretty sweet/legit/creepy too ;). 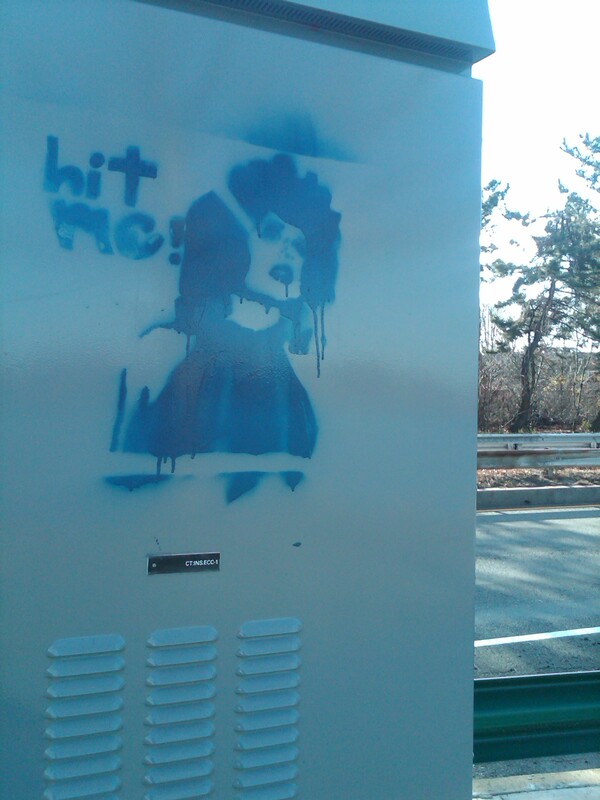 This entry was posted in Adventure, Photos and tagged allston, Boston, graffiti, mobile photo, stencil.